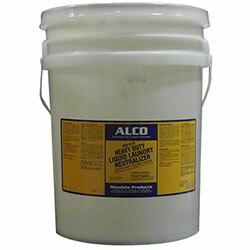 Alco Liquid Laundry Neutralizer - Alco-Chem, Inc. Concentrated liquid sour that neutralizes residual alkalinity and adjusts linen pH to minimize skin irritation. Eliminates problems caused by alkaline salts in the water.